E Susanna non vien? … Dove sono i bei momenti, a setting by Lorenzo Da Ponte , was composed by Wolfgang Amadeus Mozart in 1786 (C Major) and premiered the same year. This aria is part of Act III of the opera, Le Nozze di Figaro. The first scene of act I opens on Figaro, preparing his future marital room for him and his beloved, Suzanna. Suzanna does not want to accept this specific room as it is too close from the room of the count, their master. She worries it will make it easier for the count to court her and get his ways. Figaro, furious to learn what his master is about, swears to get revenge. In another scene, Cherubino enters and tells Suzanna the count surprised him and Barbarina alone and asked him to leave for good. He steals a ribbon of the countess, his godmother, that Suzanna, her maid, had in her possession. The count appears to court Suzanna and Cherubino only has time to hide under a chair. As Basilio comes in, the count must also hide and he hides behind the same chair as Cherubino, forcing Cherubino to hide on the chair that Suzanna covers with a dress. As Basilio starts gossiping, the count, furiously, reveals his presence, then discovers the hidden Cherubino. Furious, he bans him again and Cherubino is saved by the arrival of Figaro and a crowd of peasants who have come to thank their master for having abolished the ‘Droit du Seigneur” on their land (the “right of the first night”). Figaro asks the count for a blessing to bring the future spouses happiness. The count delays it and accepts to forgive Cherubino on the condition he leaves immediately for the army. Figaro asks to speak to Cherubino before he leaves. Act II opens on the countess expressing how much she suffers of her husband’s infidelity. Suzanna enters with Cherubino who starts singing a senerade to the countess he has composed especially for her. The two women decide to disguise him as a woman so he can attend the wedding without being recognized. The count arrives to confront his wife. He has received a letter letting him know she has accepted a meeting with a secret lover. Cherubino hides in the closet but he makes noise and the count asks the countess to open the closet. The countess refuses and he orders her to follow him after having looked the room to find tools to break the door. Susanna, as they go, comes out of her hiding place and frees Cherubino. She takes his place and Cherubino runs away by the window. As the count and countess come back, the count forces the closet and discovers Suzanna. Suzanna makes fun of the count much to his astonishment. Figaro arrives, followed by Antonio the gardener. Antonio says he is bringing back a paper lost by the man who has jumped through the window. Figaro says, he is the one who just jumped but the count is not completely convinced. As they are about to head to the wedding Marceline, Bartholo and Basilio appears showing the previous marital contract between Figaro and Marcelline. The count delays the ceremony to examine the situation. Act III opens on the Count asking Suzanna to join him in the garden later. Suzanna tells him she will accept and the count is satisfied. As she leaves the room, she lets Figaro know they will be able to marry now. The Count overhears and understands he has been fooled and expresses his fury. He takes revenge on Figaro by deciding he must marry Marcellina but Figaro argues he cannot marry without the consent of his parents he has never known. They discover he is the illegitimate son of Marcellina and Bartolo and everything is well. Suzanna arrives with money to pay off Figaro’s debt. She sees him embracing Marcellina and she mistakenly thinks he now prefers her. Everything is soon explained and they all rejoice together. All leave and we find Cherubino being disguised as a girl by Barbarina. In the meantime, the countess, alone expresses her despair and sadness in her aria: Dove sono i bei momenti. E Susanna non vien? … Dove sono i bei momenti originated was composed by Wolfgang Amadeus Mozart. The original lyrics are in Italian. The melodious note arrangement of E Susanna non vien? … Dove sono i bei momenti ranges from pianissimo (very soft) mellow notes to forte (loud) notes carrying the player and the audience through an array of vivid emotions. The sweet soft beginning of the music piece gradually increases and decreases the loudness in smooth transitions. This music piece is decorated with phrases, slurs and an arpeggio. A perfect composition for piano players to try with an intermediate knowledge in music. Students can make use of this sweet music piece to improve their knowledge in music expressions, ornaments and sight-reading, while all music lovers could enjoy this brilliant extract whole-heartedly. E Susanna non vien? … Dove sono i bei momenti sheet music produced by Lyribox is clear, precise and is transcribed in English by Lyribox. By purchasing E Susanna non vien? … Dove sono i bei momenti sheet music from us, you can simply sing along as you play this masterpiece on your piano. Unlike many sheet music sold online with all black notations, sheet music we offer you is marked using three distinct colors. While piano notation is illustrated in black, the music expressions and the lyrics are given in red and blue respectively. Get E Susanna non vien? … Dove sono i bei momenti by W. A. Mozart sheet music from Lyribox today to enjoy and share this wonderful music composition with your friends and family. E Susanna non vien? … Dove sono i bei momenti piano accompaniment is offered by Lyribox is mellow and smooth. It feeds the poem an underlying pulse, adding a sense of propulsion to it. Meanwhile the vocal line flows in a dreamy leisure manner forcing the audience into a calming and languid mood. The vocal line of E Susanna non vien? 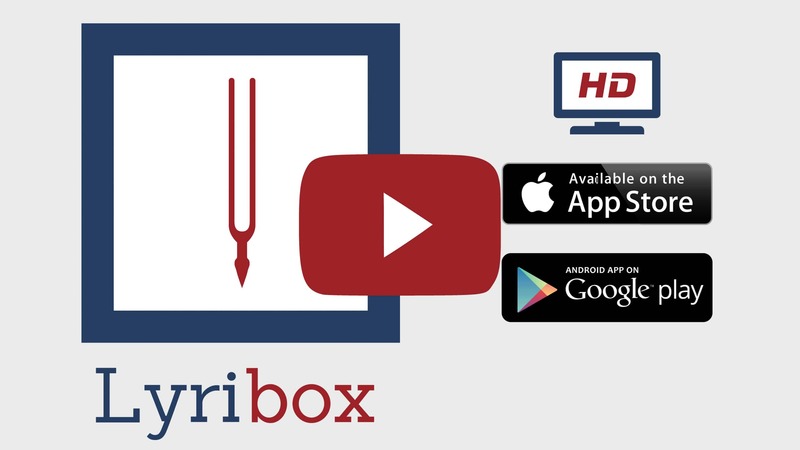 … Dove sono i bei momenti by Lyribox has the potential to provide slight pitch support for the voice’s sometimes unusual intervals, enhancing the fullness of it. This accompaniment is not at all demanding. Using these rich E Susanna non vien? … Dove sono i bei momenti accompaniments you could create one of the most brilliant performances that is pregnant with layers and layers of expressions. Purchase the E Susanna non vien? … Dove sono i bei momenti piano accompaniment together with the vocal line accompaniment from Lyribox today!